Up until a few months ago, I was a complete stranger to forearm work. In fact, to be quite honest about it, I have never put any great emphasis on arm work in general. To me, heavy leg, back and chest work are the keys to success. Sure, it’s O.K. to include a few curls and tricep presses to pump the arms up somewhat, but why overdo it? 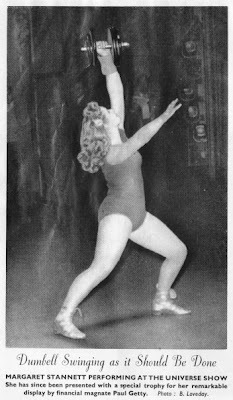 I realize that this opinion is solely my own and I do not desire to demean anyone else’s thoughts on the subject, but I mentioned this only to let you readers know that I am not, have never been and hopefully will never be a trainee who thinks massive arms and spindly thighs are the living end. 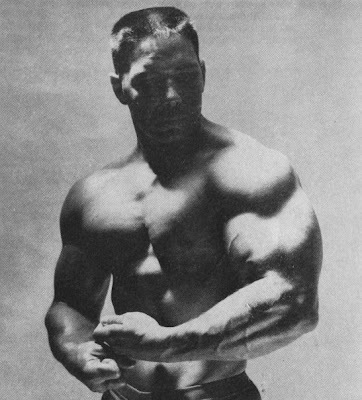 Power is my ‘thing.’ After 3 hours of heavy squats, rows, presses, benches, etc., you can be sure I have very little time, if any, for Larry Scott Preacher Bench Curls. Yet, my wrists measure 7” and my forearms go 15½”. Alright, I admit they have no definition to speak of, but the size is there. Definition means Super Sets. It also means starvation (to me, anyway). So after I bench press 400 and strict curl 205, then maybe I’ll train down low enough for my muscles to show through my elephantine epidermis. You know, being strong, large, but fleshy has its problems. You knock yourself out trying to gain the bulk and finally it’s all there. And what happens? Your friends and relatives tell you you’ve ruined your appearance and your doctor (when weighing you) tells you you’ve shortened your life. Yes, bulk and power training has its bad points as well as its good, and in many cases we merely take from Peter to only pay Paul. But getting back to forearm work. I, for one, was sick and tired of people who, when hearing of my weight training would sooner or later ask me, ‘Where are your muscles then? Why don’t they show? You look just plain fat to me.” And all the time they were telling me this ‘heartbreaking news they were staring at my large, but shapeless, upper arms. And all the while I remained silent. As far as upper arms are concerned, size I have. Also, I feel that I possess a fair degree of strength. But the shape and solidarity of tissue is just not there. And nothing is more unimpressive to the average man on the street than large, dumpy arms. My arms are usually over 18” most of the year round, depending mostly on how low of high I let my bodyweight go. I felt that as long as I already had size in my arms, I might as well work on my forearms for a while in order to bring them up to par, size-wise at least. You know, when you’re short and stocky like I am, it’s easy to lose sight of proper proportions. And I mean proportion to merely look human; not the bodybuilding symmetry philosophy. Also, in my case, I figured that stronger forearms meant inadvertently easier and heavier deadlifts, rows and high pulls, etc. And also, I figured that whenever I would be asked to show a muscle or two by annoying children in my Pop’s store, or by aggravating relatives in a sarcastic mood, flexing a forearm would be less tiresome than rolling up a shirt sleeve (which is almost impossible for me) and coming out with the ‘ceps. I would like a fairly solid 16” forearm. And since I only have ½” to go, I feel it’s only a matter of time and steady, concentrated work. 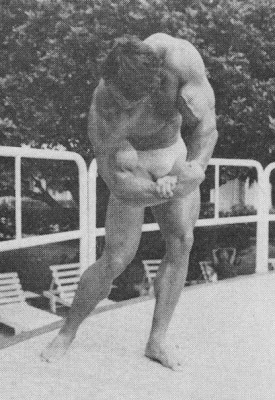 For the exercise movements themselves, I chose the reverse curl and the wrist curl with palms facing up. There was no reason to get too involved with various movements, sets, repetitions, etc., and also various training philosophies. Last issue you read of my massive friend Julius Gadsden’s routine for massive upper arms using artificially applied circulation, hard work and a highly nutritious diet. It was during this time that I began my forearm work, and am continuing it now. Since you should all be familiar with the theory and application of A.A.C. I shall confine myself to the simple schedule of sets and repetitions involved. EDITOR’S NOTE – For those of you who did not read the previous two articles on artificial circulation, let us repeat a few of the essentials. Between each set and between each group of exercises while resting, Julius would rub Ben-Gay on his arms. This would create heat, bringing added blood to the area. Care must be used in rubbing, as some skins are tender and might blister. Try to knead the muscles and give deep massage while rubbing on the liniment rather than using surface rubbing. Possibly other types of liniment might work as well as Ben-Gay. The purpose of using this is to get deep heat so that blood is brought to the muscles themselves and not just to the skin. Since it seems that blood circulation is one of the secrets of bigger muscles, and the pumping system’s success is due to this, apparently one is able to get a good pump and good circulation with the use of a liniment and with perhaps less exhausting work than without it. We look forward to hearing from other readers who may have experimented a little with this system. We do know that liniment is almost an essential part of a weightlifter’s training routine. They use it for other reasons than for big muscles, and it does function in the same manner. I train my forearms 4 times per week; twice at the end of my upper-body training days and again twice at the onset of my lower-body training days. I perform the Reverse Curl first, doing 5 sets of 10-8-6-4-15 repetitions using progressively heavier weights each set (excepting the last). In between each set I perform the massaging method using ‘Ben-Gay Lotion’ as mentioned in previous articles dealing with the A.A.C. philosophy. I then perform the seated wrist curl, palms up, for 5 additional sets of 20 repetitions using the same weight, increasing it whenever possible. I also followed proper diet principles. In approximately seven weeks, my forearms were where they stand presently, and as I mentioned before, my wrists are barely 7”. The results speak for themselves. Article courtesy of R. Weaver.